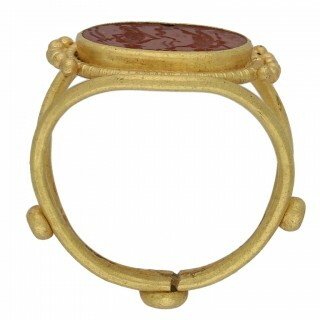 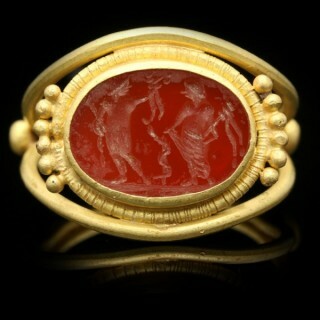 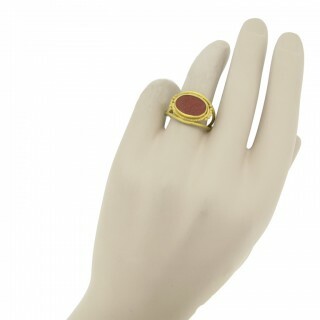 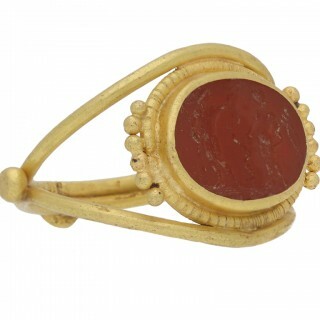 Ancient Roman Apollo and Salus intaglio ring. 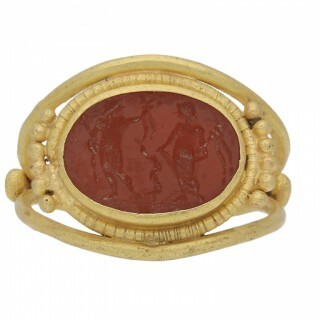 Set with an oval cornelian intaglio intricately carved with the god Apollo with staff and laurel wreath, the goddess Salus with a snake entwined rod, and staff of Asclepius in between, in a closed back rubover setting, bordered by a fine wirework trim and flanked by six golden granules to each side, the openwork shank composed of two rounded wires which are fused together at reverse and highlighted with three gold pellets. 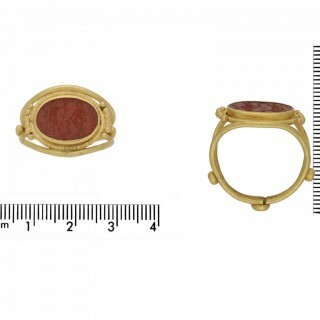 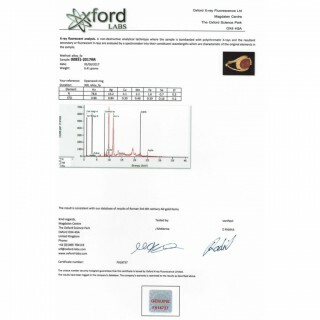 Tested yellow gold, approximately 8.4g in weight, circa 3rd-4th century AD, accompanied by an Oxford Labs X-ray fluorescence report stating the composition of the metal.